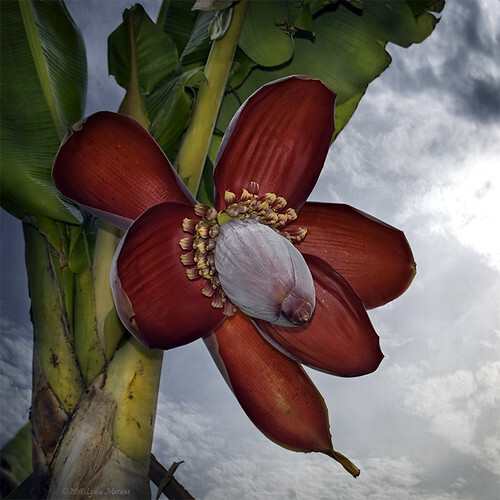 Banana flower, originally uploaded by Telzey. This isn't a photomanipulation. All I did was crop the image and add a vignette. The magic was all in the incredible light between rain storms. it's a very interesting shot.